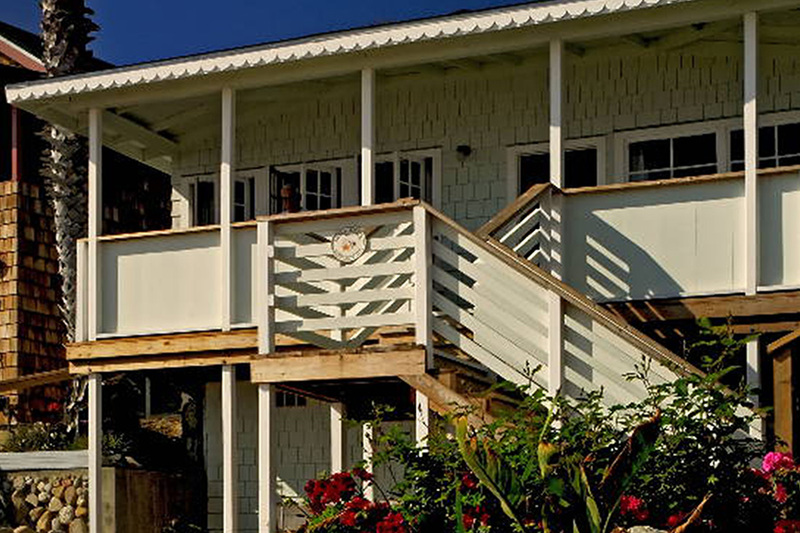 Wake up to the sound of crashing waves in this lovely beachfront seashell-themed cottage originally built in 1926. 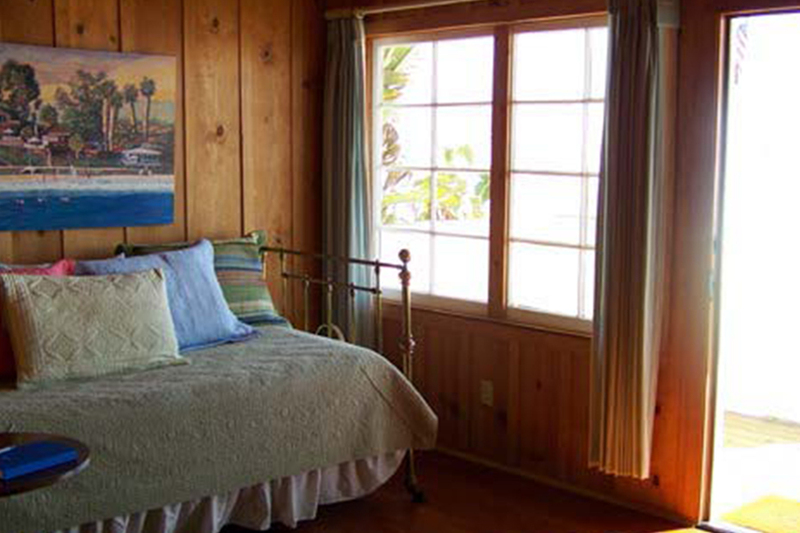 In the front room, guests will enjoy tall windows overlooking the beach and a cozy covered front porch from the comfort of a daybed and sofa bed. The main living space includes a dining area, two full Murphy beds, a small kitchen, and a covered side deck. In addition to the front and side porches, this cottage has a large, partially-covered back patio with an outdoor dining area and lots of space for relaxation. 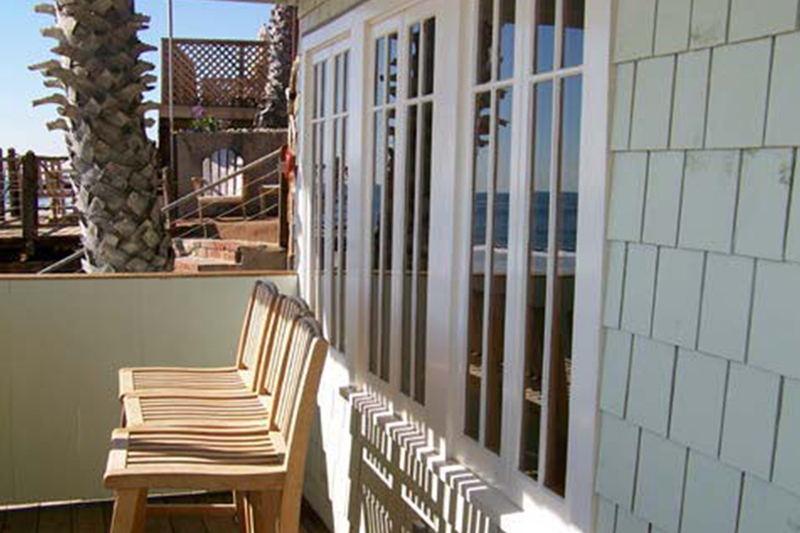 Centrally located on the promenade along the beach and boasting multiple decks, this cottage is perfect for a relaxing group getaway. Please note that this cottage has no private bedroom. Get Crystal Cove in your inbox!